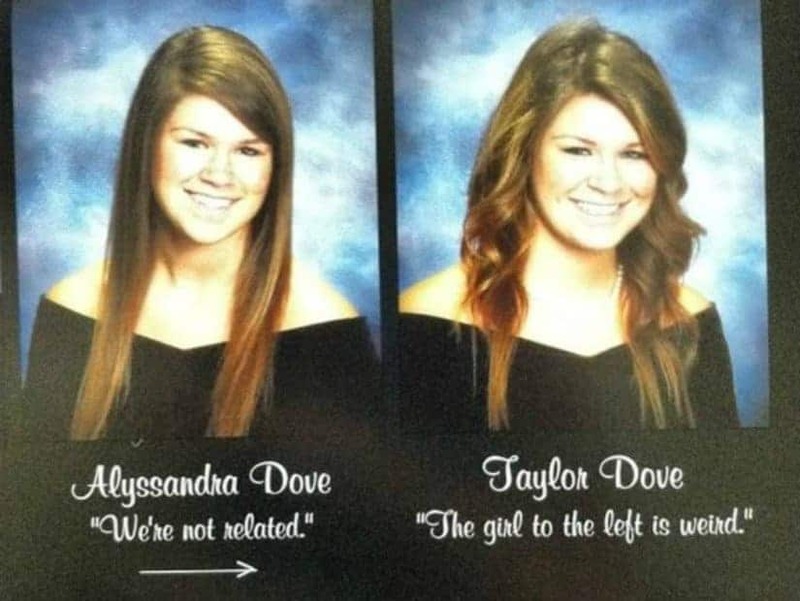 Having a twin, especially an identical one, is an extreme life opportunity that gives you the chance to come up with witty, creative, and funny schemes. It’s even quite a waste if identical twins don’t do something awesome when given the chance. 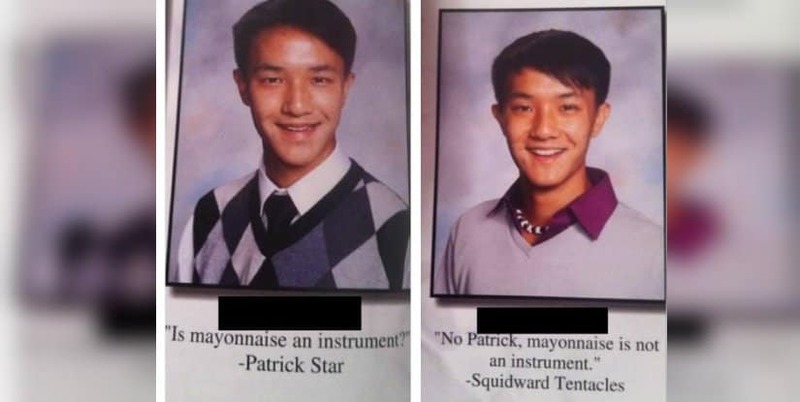 And what a better chance to express your creativity and wit than the quote under your yearbook photo? 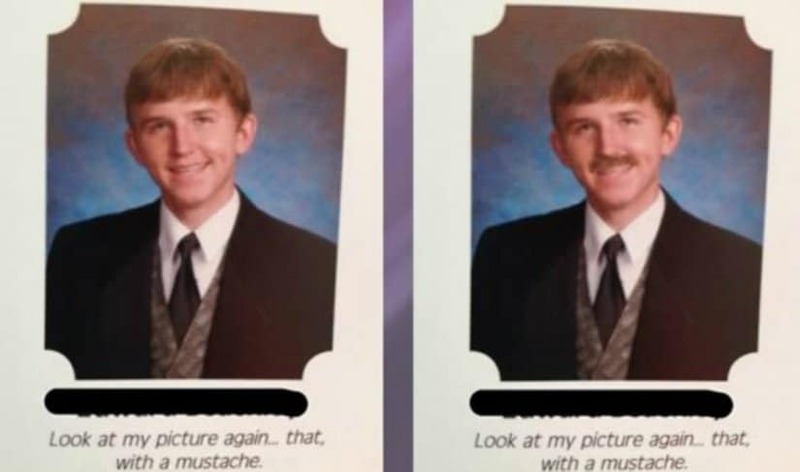 Knowing they have only one shot to make things right, these 10 twins have gone out of their way to create some of the most hilarious double-up yearbook quotes ever. Want to check them out? Here they are! True in their statement, Julia and Rachel are saying things as they are. 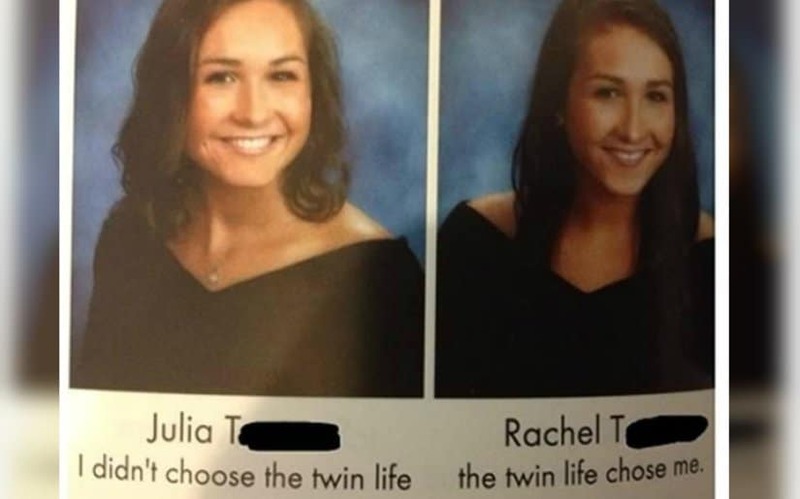 They didn’t choose the twin life, the twin life chose them! What a better way for two twins to separate themselves from one another’s looks than putting on a mustache? There is none! 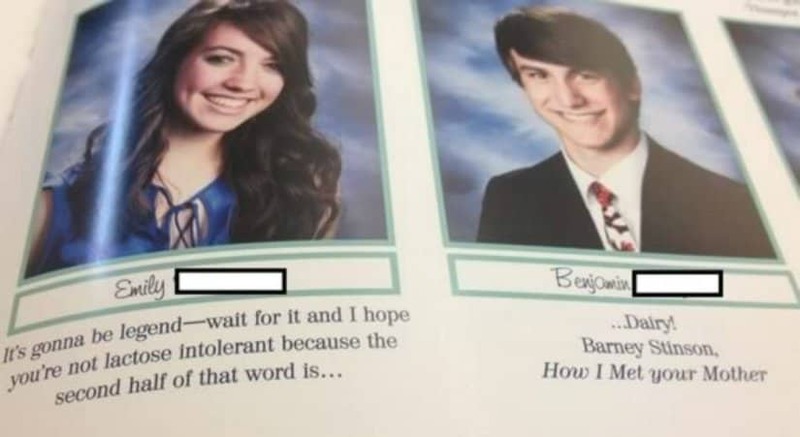 Having an opportunity to put two quotes in an yearbook always results in at least one Barney Stinson joke. It’s the rule! 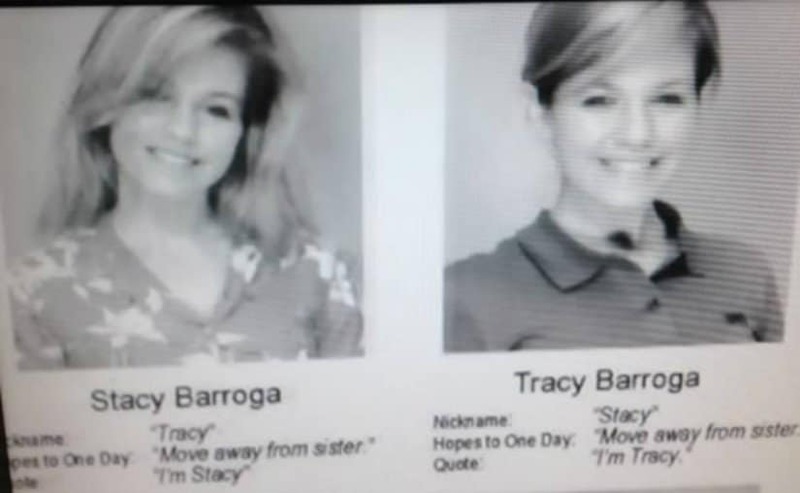 Who’s to say that you can’t put quotes from your favorite childhood movies in your yearbook? You go twin brothers! Seems like both want to move away from each other, but twins will always be twins. We just didn’t get who’s who! 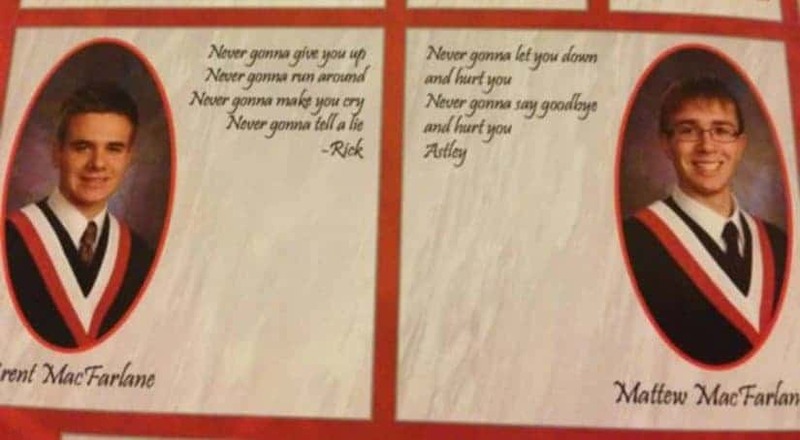 Even though a tiny bit old-fashioned, there is nothing better than a good old Rick Roll! 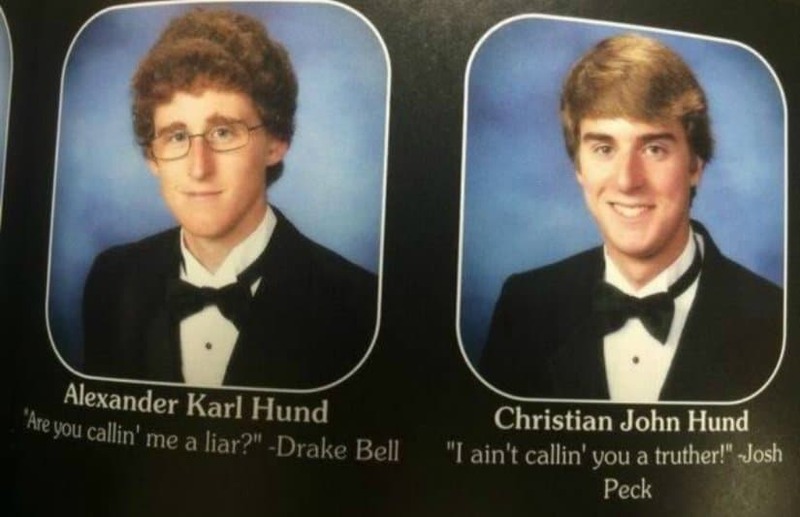 These two bothers had the amazing opportunity to put a memorable quote in their yearbooks. And that’s just what they did! Who are you going to believe? Alyssandra says they are not related, but something leads us to believe that Taylor is saying things as they are! Sometimes people end up plagiarizing the works of others. 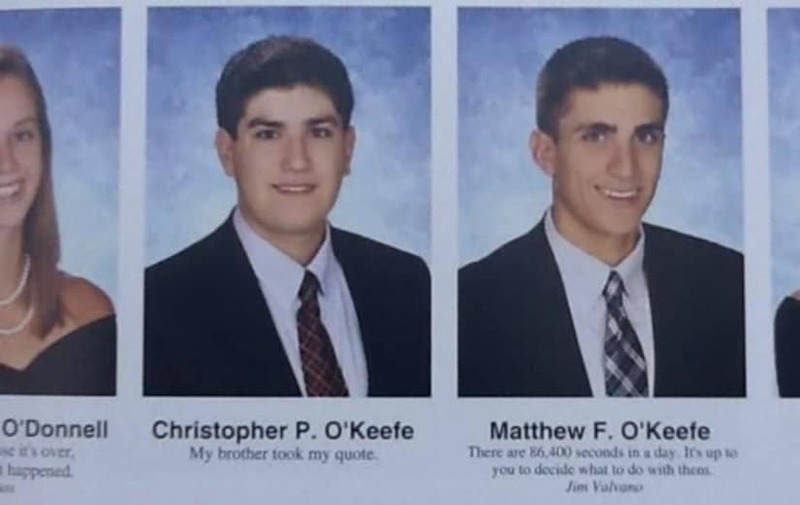 However, there is no harsher pain than your borther stealing your Yearbook quote. Who is one to say that rap lyrics aren’t true and expressive form of poetry? 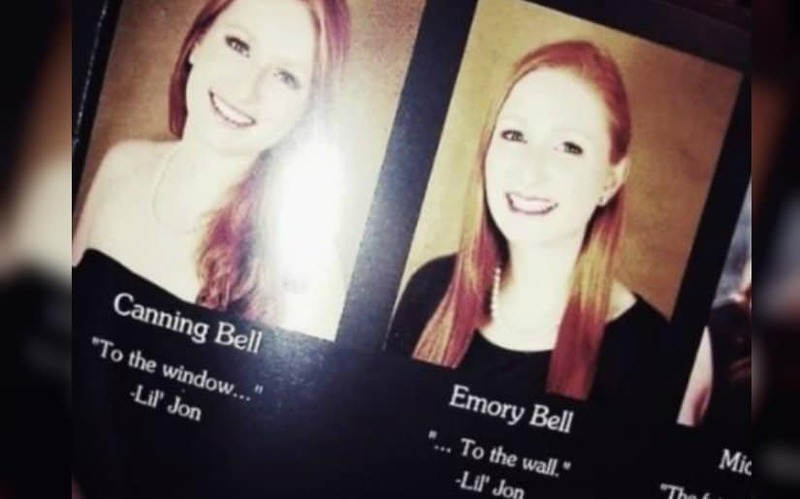 As these twins show, “to the window… to the wall,” is a quote to make you think!